Being new to the area, I am still finding places to visit. 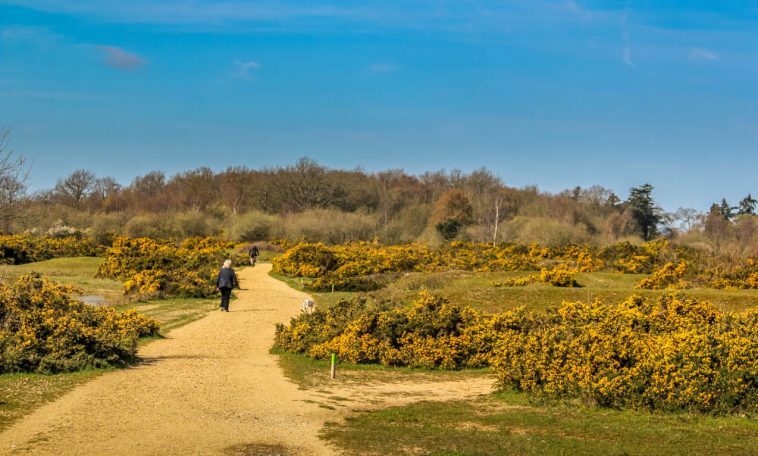 I love nature, so when a friend suggested I make a trip to Greenham Common, near Newbury, Berkshire, I thought I’d give it a go. 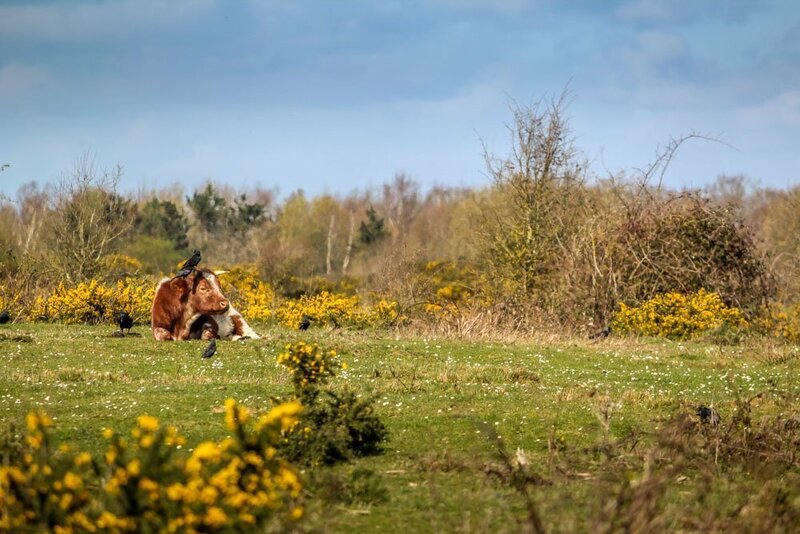 When he described it to me he said it was similar to the kind of landscape you’d expect to find in the New Forest, with heathland and lots of gorse, not to mention the free-roaming cattle. 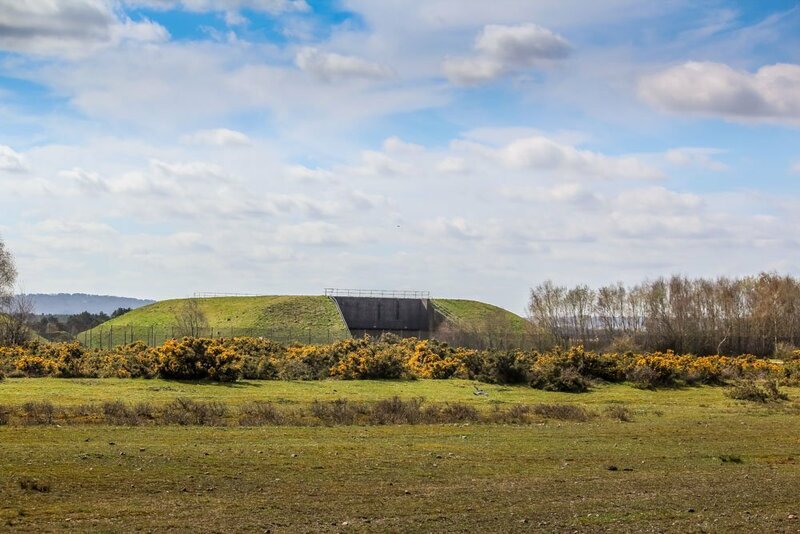 The difference is with this nature reserve is that it has had a very different past, having been used as a military air base in WW2 and subsequently as a nuclear missile base in the 1980s. Just a quick internet search of the site gives you loads of information on the anti-nuclear protests that took place here in days gone by, it’s hard to imagine this place being so controversial these days! 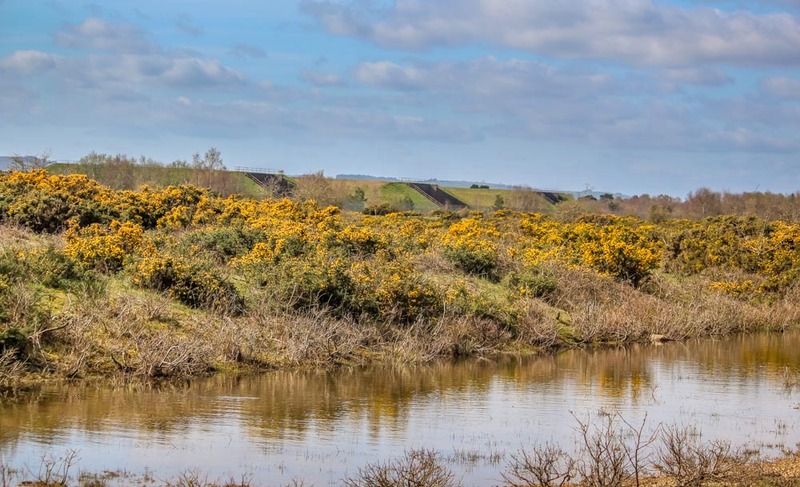 Since 2000, the site has been opened again to the general public and is now managed by Berkshire, Buckinghamshire and Oxfordshire Wildlife Trust (BBOWT) on behalf of West Berkshire Council. As I pulled up into the car park just off the northwest edge of the reserve there are some information boards that give you lots of useful facts on the history of the site, including an interesting aerial photograph which shows you the old runway (once the longest in Europe). 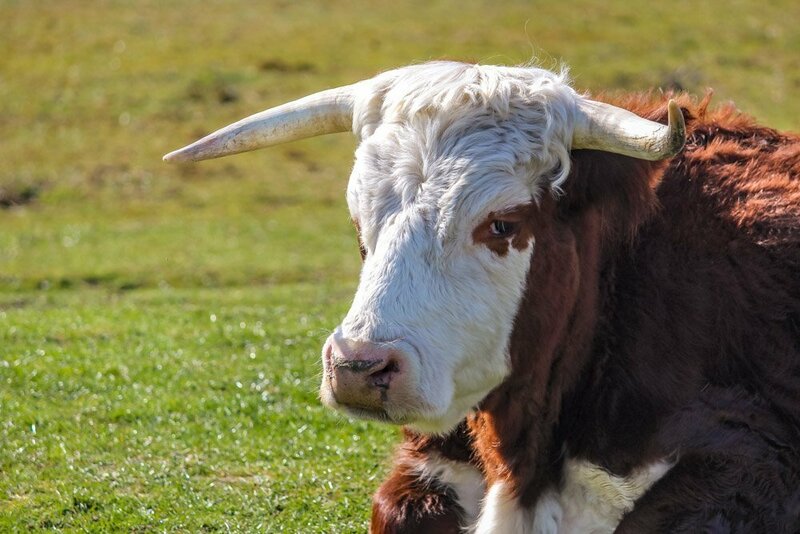 There are suggested walking routes on here too, although you can also download some of these from BBOWT’s website. I decided to just take an amble on my own and see where things took me so I started by heading eastwards, in the direction of the old control tower. 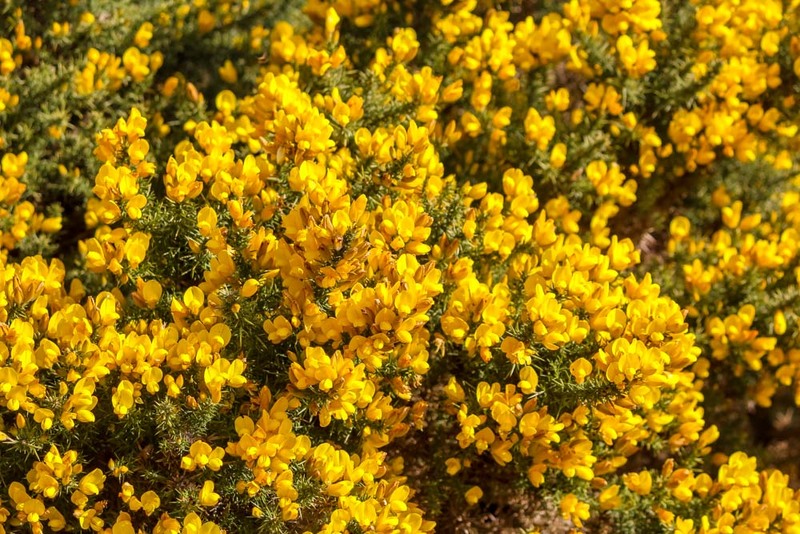 Along the way, I passed masses of gorse, all in full bloom and providing a slight coconut scent to the air. The sun was shining and big bumble bees were buzzing about. 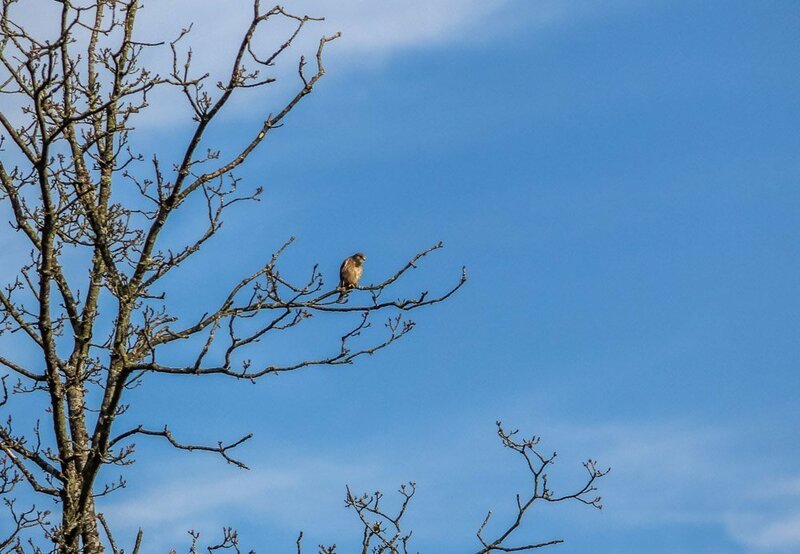 Aside from the odd light aircraft passing overhead and the occasional traffic noise in the distance all I could hear was the sound of bird song, it was a very tranquil spot! Following along one of the main pathways, I passed some of the cattle that graze this land. They didn’t seem at all bothered by my presence and were quite happily resting in the sunshine. There are numerous ponds and puddles along the way which I am told are great for the wildlife here, as well as being watering holes for the cattle and Exmoor ponies that reside here. Before too long, I was approaching the old watchtower. It gave the site a bit of an eerie feel and reminds you about the history that accompanies the area. 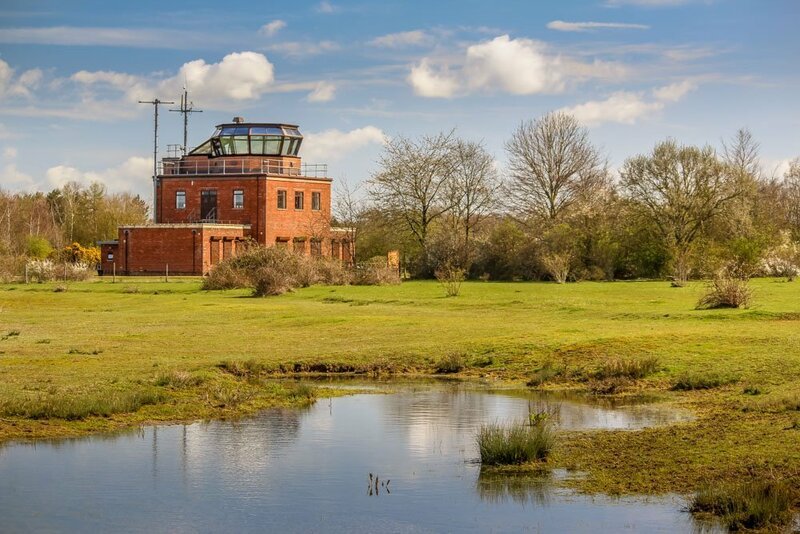 On certain days of the week the tower and café in it are opened to the public, also giving more information on the history of the site as an airbase. 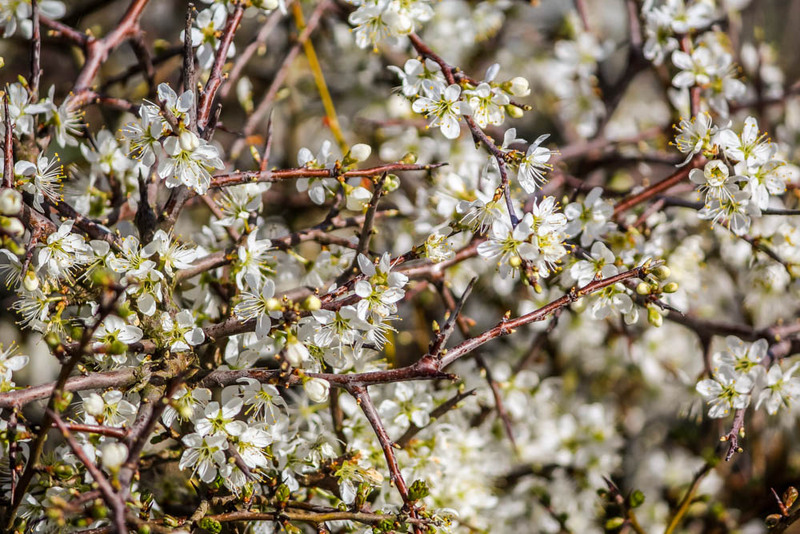 Just nearby there were massive hawthorn and blackthorn bushes in full blossom, a pretty sight. I’d never noticed that they have a scent to them too, although nowhere nearly as strong as the gorse. In the distance from where I was walking I could see the old cruise missile bunkers, a large area of the site that still echoes from the Cold War days. 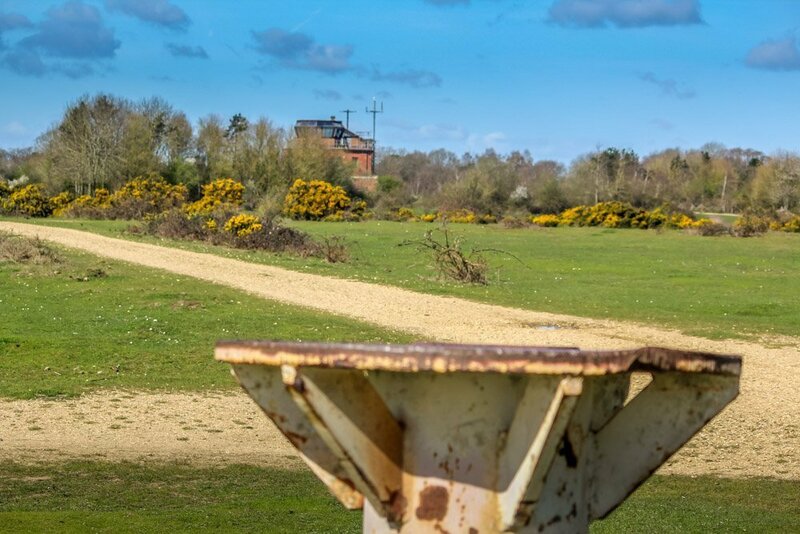 I carried on walking and passed by other clues to this site’s past, a random flag pole, various metal structures poking out of the ground and the remains of old concrete areas, not to mention some of the land that was used as the runway. Apparently before the site was re-opened to the general public again, over a million tonnes of concrete and gravel were removed. This reserve is a haven for ground-nesting birds, in particular nightjar, woodlark and lapwing. 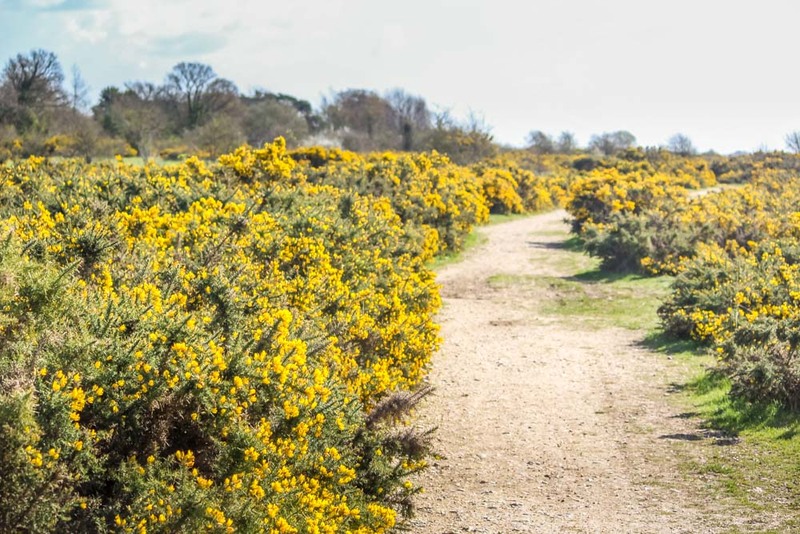 The site is the largest area of lowland heath in West Berkshire – a fragile and threatened habitat. 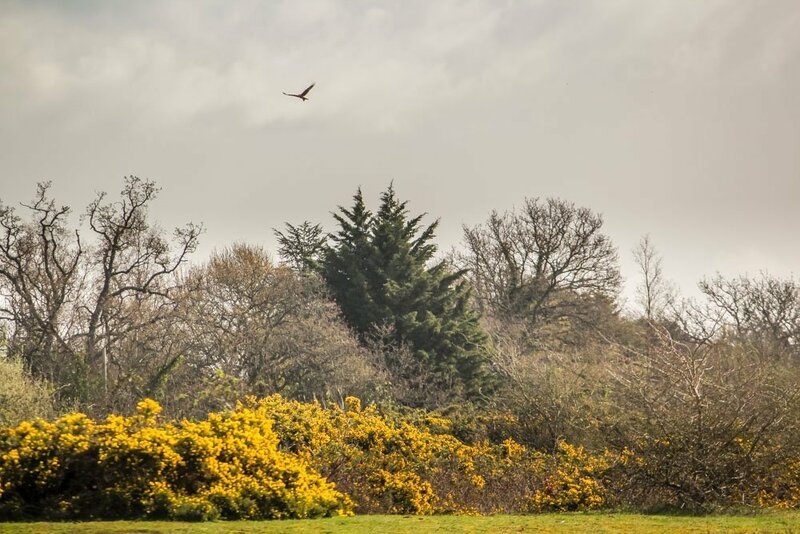 During the summer, the heather blooms and gives the landscape a pinky-purple vibe and it’s not unusual to spot dragonflies, common lizards and even the odd adder during the warmer days. 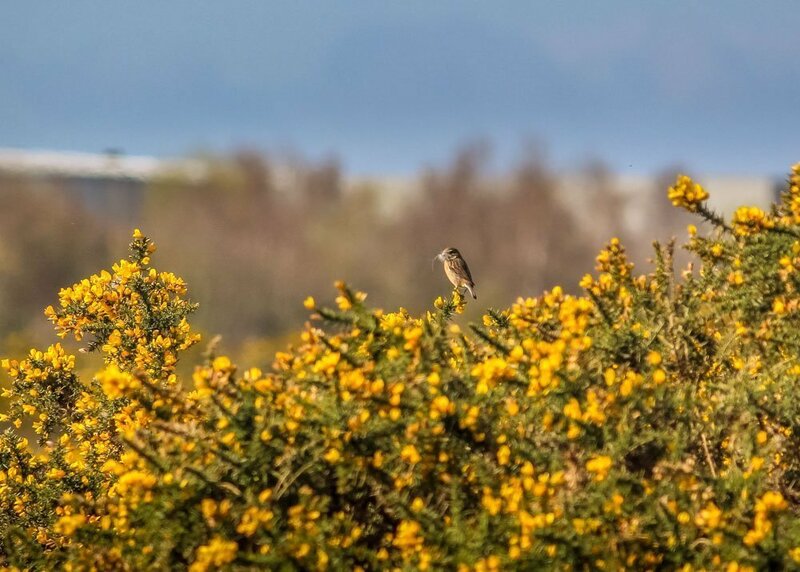 On my trip, I watched red kites and buzzards circling the sky above and I managed to see some stonechats perched on top of some gorse, singing away and collecting nest material, while a kestrel observed the heathland from a branchy perch. All in all, I think I must have walked about four miles around the reserve, a great way to spend a sunny March morning. This site is definitely a place I’ll return to. I’d love to try out some of the even longer walks that you can do from here, especially one that you can link up with the Kennet & Avon Canal. Plus, I’m looking forward to seeing it here in the summer when the heather is out. I can imagine on a warm summer’s evening it’ll look spectacular. Great piece, Emma – sums it up perfectly. Love the photos too!